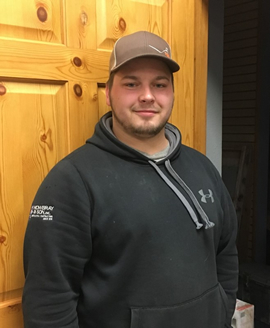 Carter Bechtold - Mowbray & Son, Inc.
Carter Bechtold graduated from Minot High School in 2015. Carter worked for M & S Sheet Metal, Inc as a summer intern for the HVAC service department. He attended Bismarck State College and received certification in the HVAC program in June 2016. Carter joined our service department team in July of 2016. He joined the Sheet Metal Workers Local #10 at that time and started in the HVAC apprenticeship program. Carter works under the direction of Derrick Burke as he continues his on-site training and educational programs offered under the sheet metal HVAC apprenticeship program. Carter has certification in EPA Universal Refrigerant, OSHA 10, First Aid, and CPR.